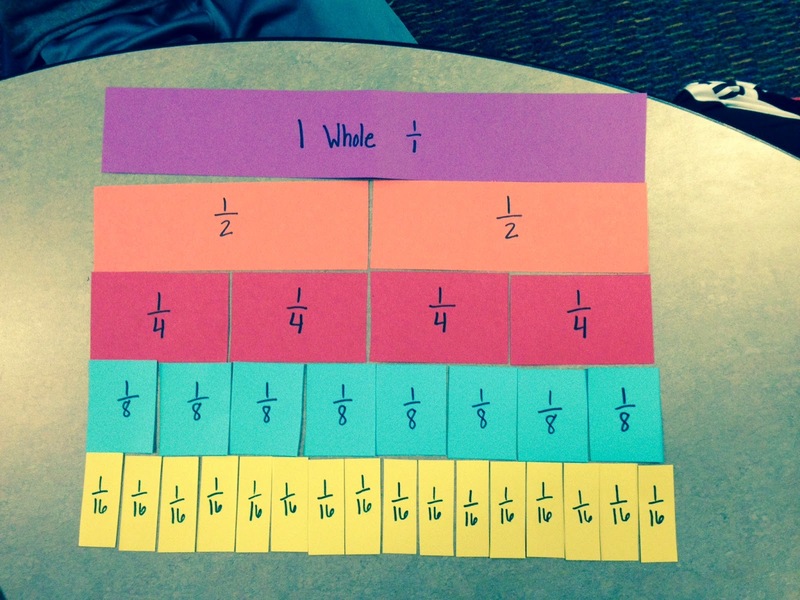 This week we made fraction kits. 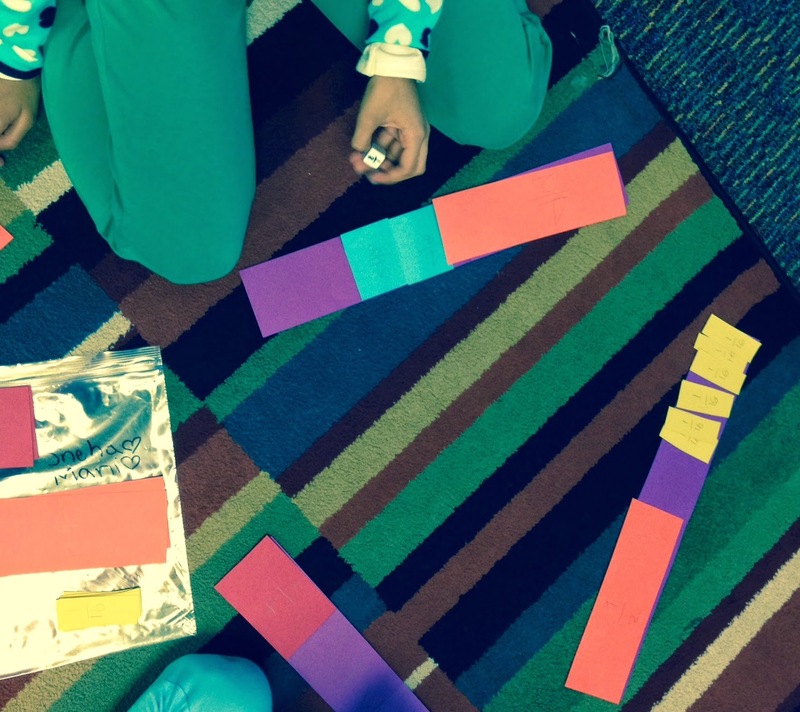 This kit is a great tool for students to use to explore the relationship between fractional pieces. As we made it, we discussed how we were making it. "I'm taking one whole and folding it into two equal pieces. What have I made?" 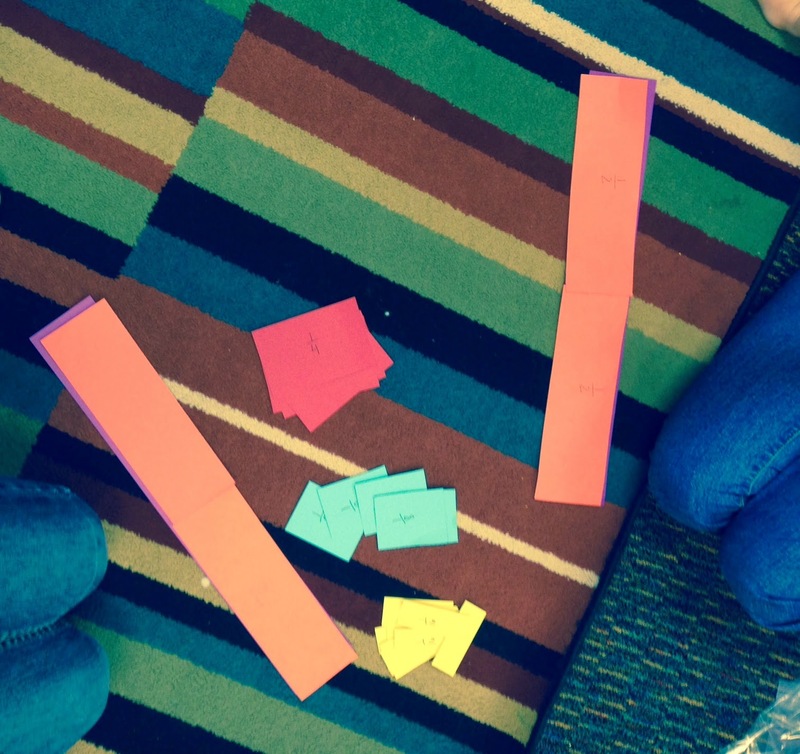 "Now I am taking one whole and folding it into two equal pieces, then folding it again to half all those pieces. What have I made?" etc. 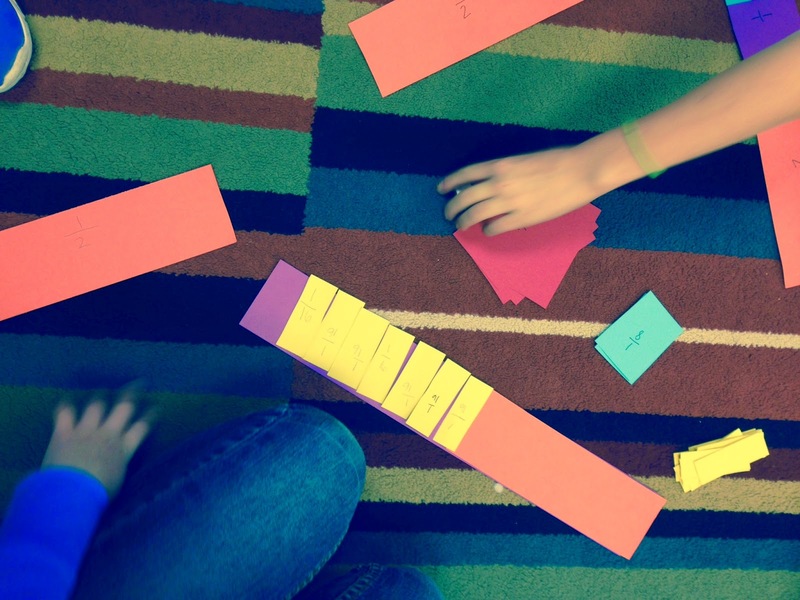 After we made the kits and discussed them, we played a game where we have to roll a fraction die and try to cover our entire whole before our partner covered theirs. This lead to some great discussion about how much they had left after each roll. Next we played a game where we started with our whole covered by two halves and rolled the die to try to uncover the entire whole before our partner. They were responsible for exchanging their halves for the pieces they need. For example, if they rolled 1/16, they had to exchange a half for a combination that still equaled a half but included at lease one 1/16 piece so they could remove it.